Brian Bennett, drummer of the Shadows; Brian Bennett: triple Ivor Novello Award winning film and TV score composer; Brian Bennett, member of the SODS (Society Of Distinguished Songwriters, and former “King Sod”) - writer of hits such as “Summer Holiday”, Brian Bennett whose barn burned down recently destroying his studio and irreplaceable collection of antique drum kits. He’s a busy man, Brian Bennett, and he’s had a long and interesting life so far. 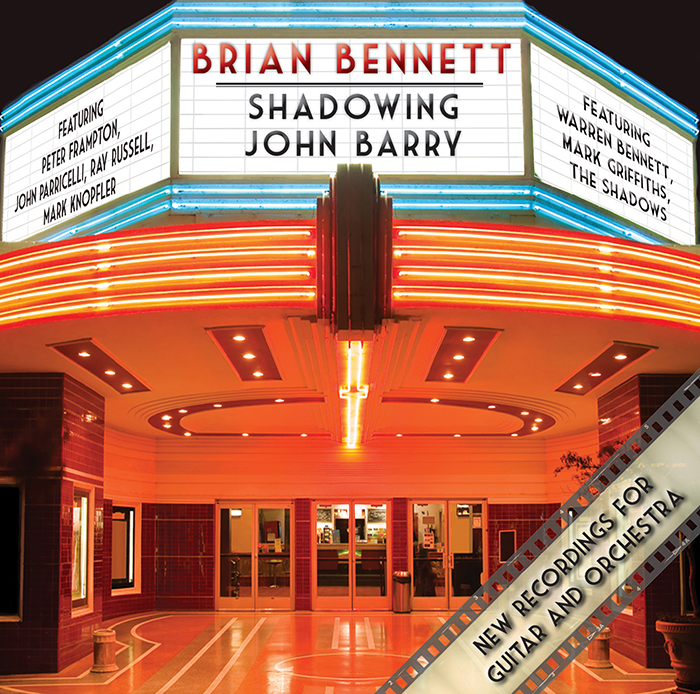 Once the young resident drummer at the famous “Two 1’s” coffee bar in Old Compton Street, his stellar career has now brought him to the point when his new instrumental album – a tribute to his friend and idol, John Barry – is being released on Dramatico Records. 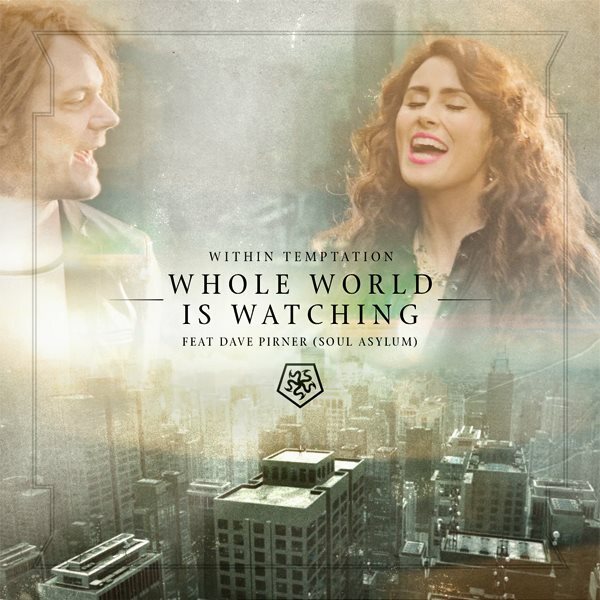 This is a powerful and impressive album, superbly produced and orchestrated – with the assistance of his son Warren Bennett. Years in the making, its limited “soft” digital release a few weeks ago has garnered very complimentary comments not only from the top guitar players who soloed on it, but fans and fellow professionals. Its full physical release and media impact date is now imminent. Having chosen which of Barry’s pieces to include, Bennett was faced with the task of choosing who to ask to play the lead guitar on each track. Surrounded in his everyday work by the cream of the crop, he was spoiled for choice – and also being friends with some of the greatest guitarists in the world came in handy. He cajoled his old pal, Hank Marvin out of semi-retirement to play on “The Appointment”, (effectively bringing “The Shadows” back together), and his superstar friends Peter Frampton and Mark Knopfler are joined by guitar maestros Ray Russell, John Parricelli and Mark Griffiths, creating a thrilling and masterful collaboration. Opening with the spine-chilling lead guitar of Frampton on “Thunderball” followed by Parricelli’s superb interpretation of the beautiful “Out Of Africa” the album will be a joy to anybody who is a fan of John Barry, Brian Bennett, the guitarists themselves or indeed the very art of guitar playing, - and of course to those who are thrilled by the sound of an orchestra playing great arrangements. Songwriter and producer Mike Batt, owner of the Dramatico label said, "I am honoured to have this superb album added to the Dramatico catalogue, and I thank Brian for coming to me with it. It’s a record I’ll often play, and it truly illustrates the wealth of talent that is active in the UK music industry; not always playing mainstream pop, but doing what they LIKE doing best – and it shows on this record"
Barry’s most active lyricist, Don Black said, "Brian has done a masterful Job in capturing John's magical musical legacy. John would have loved it." 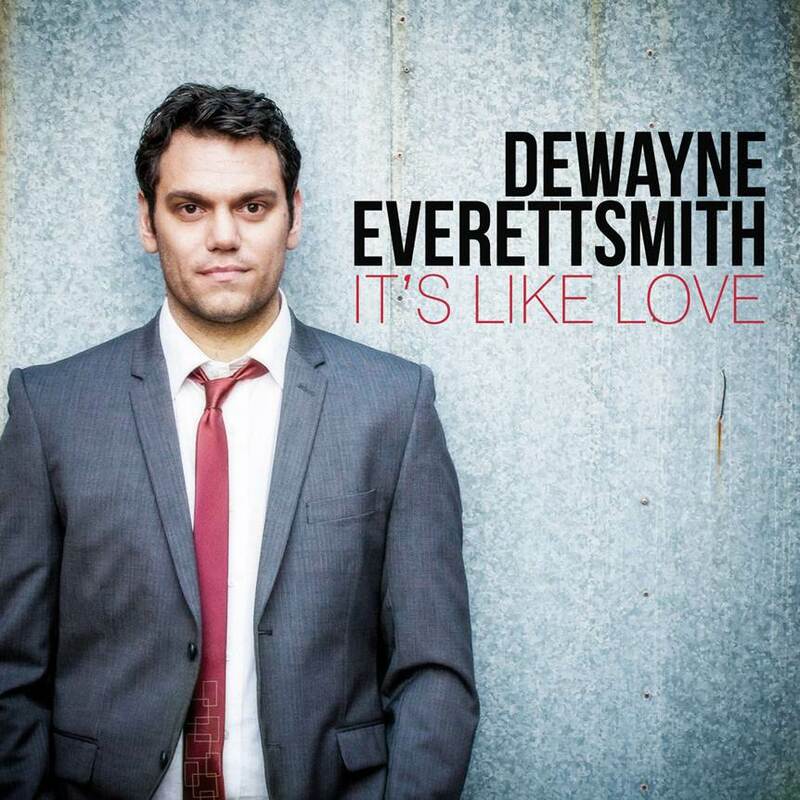 Guitarist Ray Russell said, "Playing on this album is like coming home. My first professional gig at 19 was joining the John Barry 7." Following a festival highlight set at Glastonbury, Parov Stelar Band will return to Britain for one night at Brixton Academy. In 2013 Parov Stelar Band 'tore the lid off the place' (Artsdesk) and 'smashed it' (Guardian) when they played at Womad Festival. Their reputation for delivery a red hot mixture of electro-swing and chunky, pumping house music sold out shows at The Forum and Heaven that year and drew the biggest crowd at Glastonbury's Sonic stage in 2014. 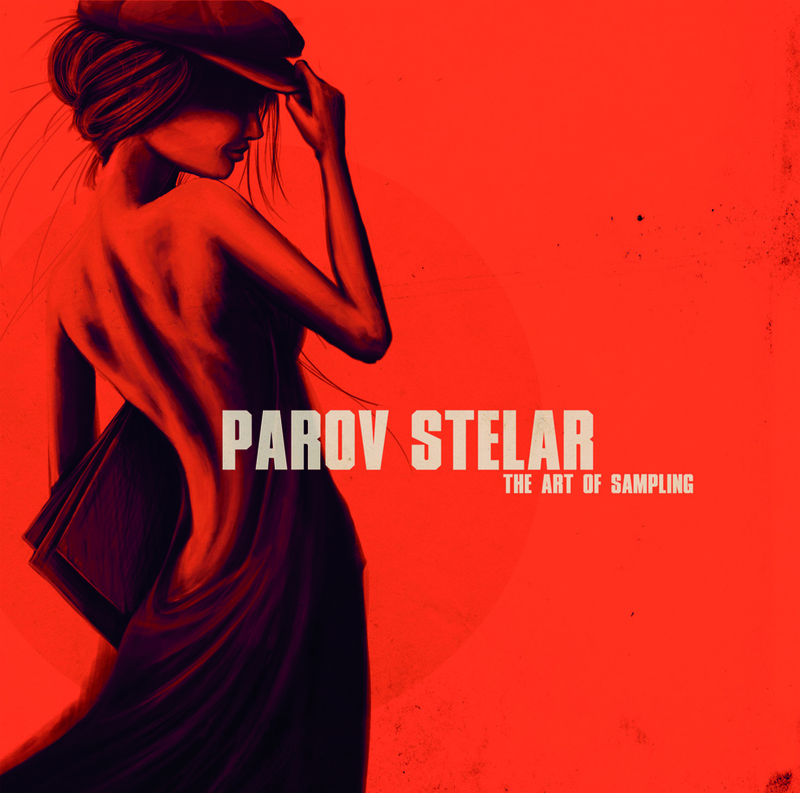 Now Parov Stelar - the master of sampling and his band return for one night at Brixton Academy. Caro Emerald’s second album The Shocking Miss Emerald, which was released on May 6th 2013, has now spent an impressive 52 consecutive weeks in the official UK album chart. Released on Dramatico/Grandmono in the UK, the album entered the charts at number 1 on its release. Meanwhile Caro’s debut album Deleted Scenes From The Cutting Room Floor has now clocked up 500,000 UK sales since its release in 2010. A summer of festivals, including Hop Farm Festival, Llangollen Music Festival and her recently announced main stage performance at Glastonbury, will precede Caro’s UK tour in October that will see her play her largest run of dates - including London’s O2 Arena. Caro Emerald and Parov Stelar will be playing at Glastonbury 2014! Caro will be playing on the main (Pyramid) Stage, Parov will be playing on the Silver Hayes stage. Is this the real winner of The Voice 2014? 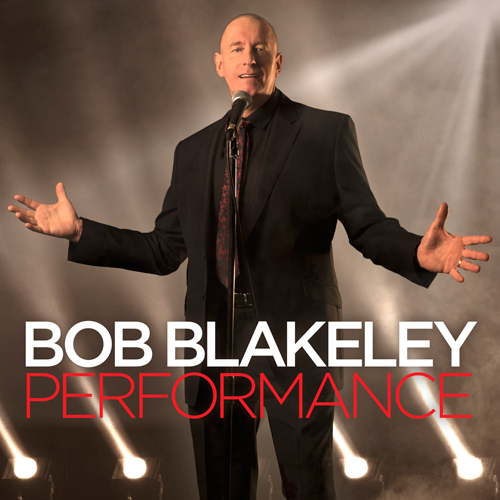 Bob Blakeley records show-stopping 'Cry Me A River' with orchestra at famous Air Studios. The 56 year old former taxi driver turned warehouse worker from Stockport made it to the blind auditions of The Voice but, despite an amazing performance, none of the judges turned round for him. Now signed to Mike's record label, Dramatico Entertainment, Bob's dreams are set to come true with the release of his debut album 'Performance'. Produced by Mike, and recorded with an orchestra at the legendary Air Studios in London, 'Performance' will include Bob's renditions of classic standards including his signature song 'Cry Me A River'. After two hugely successful albums Caro Emerald is back with an EXCLUSIVE, LIMITED EDITION, COLOURED VINYL release especially for Record Store Day (19th April 2014). The Shocking Miss Emerald Acoustic Sessions includes six new acoustic arrangements of tracks from her Number 1 album The Shocking Miss Emerald and features the songs: 'I Belong To You', 'Coming Back As A Man', 'Completely', 'Paris', 'The Wonderful In You' & 'Liquid Lunch'. The nation gasped in shock when The Voice judges failed to turn round for Bob Blakeley's spine-tingling performance of Cry Me A River. The Granddad from Stockport then won the hearts of millions when he cheerfully shook hands with the judges before graciously leaving the stage. But the story did not end there for the 56 year old warehouse worker. Appearing on BBC Breakfast the following week Bob was offered a deal by music producer and record company boss Mike Batt. Mike, who discovered Katie Melua and has written many chart-topping hits including Bright Eyes, had watched Bob's performance and told him "You must not let this chance go by and I would like to help you." Moved to tears Bob later took to Twitter saying "Wow what an incredible morning, I can't thank you all enough for your support! I hope to bring you some great music." Now signed to Mike's record label, Dramatico Entertainment (who recently celebrated a number 1 album with Caro Emerald) Bob's dreams are set to come true with the release of his debut album 'Performance'. Produced by Mike, and recorded with an orchestra at the legendary Air Studios in London, 'Performance' will showcase Bob's extraordinary voice. Featuring his signature song 'Cry Me A River', the album will also include Bob's renditions of classic standards as well as inspired covers of contemporary songs. 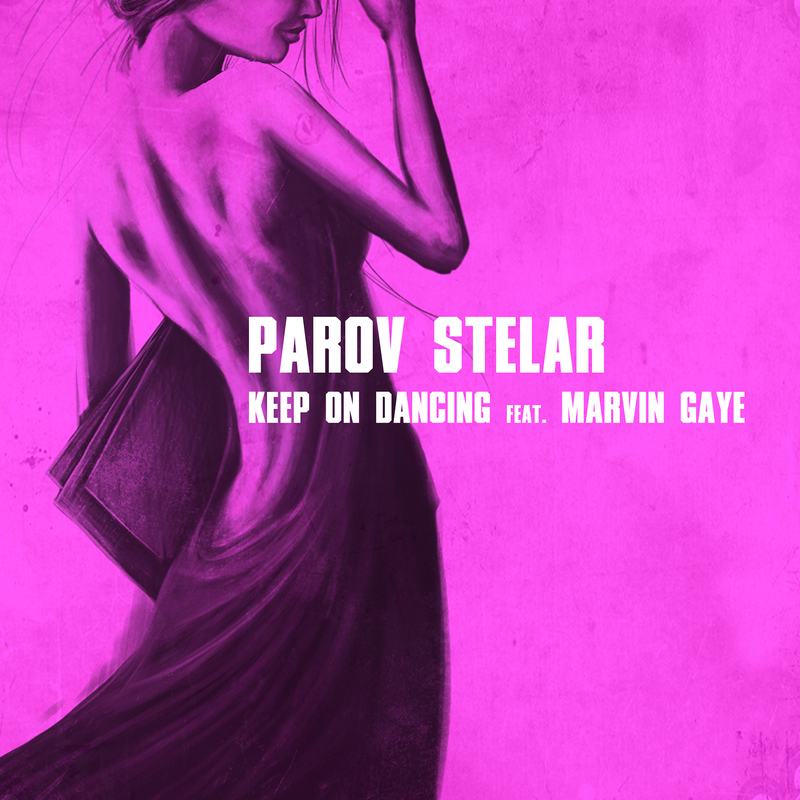 A young film crew was touring with Parov Stelar in the years 2012/13. This is a short road movie, a tour diary and a view behind the scenes. With this short film we want to say thank you! Enjoy it and merry x-mas and a happy new year. 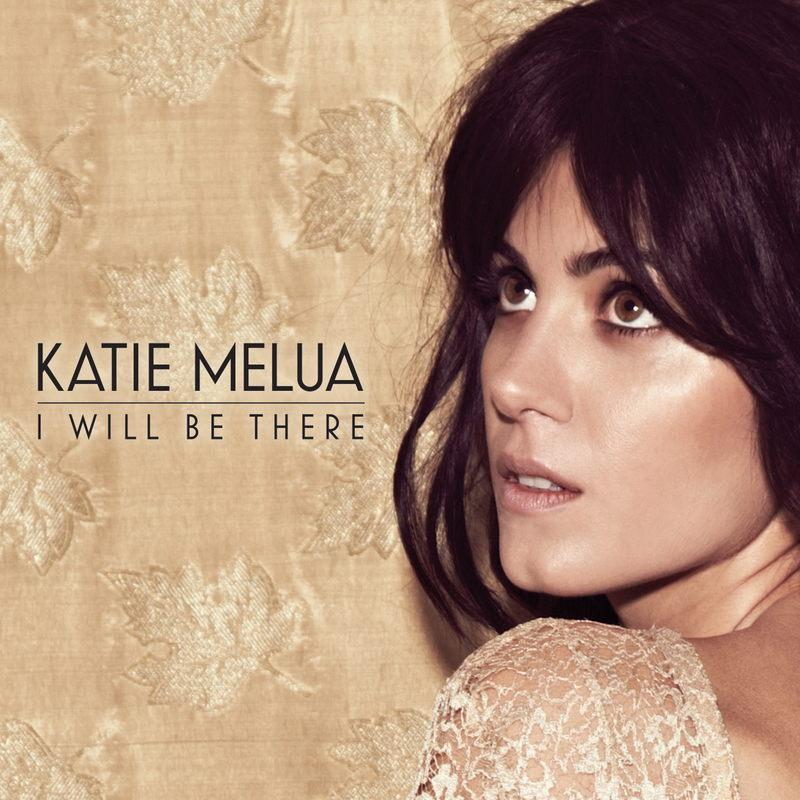 Katie Melua will embark on a tour of Europe in March and April 2014 that will see her performing a stripped-down set accompanied by just bass and keyboards. The tour will start in Russia on 23rd March and will take in Estonia, Lithuania, Denmark, Germany, Poland, Austria, Switzerland, Belgium and Britain, before ending in Spain on 19th April 2014. With this simplified production the focus will be on the beauty of Katie's voice and the strength of the songs. "I know this will test me as a musician like never before but I love the purity and nakedness of performing with hardly any accompaniment. I have always included one or two stripped down songs in my previous gigs but never a whole tour like this. There is nothing to hide behind. Perhaps describing it as acoustic isn't completely accurate, as there will be keyboards and bass, so the tour is called 'Simplified'" explains Katie. "This is so huge! I feel very, very honoured to be invited to take part in the show. I appreciate how important it is and how many great entertainers have taken part over the last 100 years. I'm also thrilled to perform for the Royal Family" said Caro today. The star studded spectacular, hosted by award winning comedian and actor John Bishop, takes place at the London Palladium on Monday 25th November and will be screened on ITV in December. Caro will join a host of stars including Mary J. Blige, Dame Edna Everage, Gary Barlow, Jimmy Carr, Chas & Dave, Torvill & Dean, Britainís Got Talent winners, Attraction, and the cast of the hit West End musical Charlie and The Chocolate Factory. The event is staged in aid of the Entertainment Artistes Benevolent Fund, whose patron is Her Majesty The Queen. The money raised from the show helps those people from the world of entertainment in need of care and assistance. 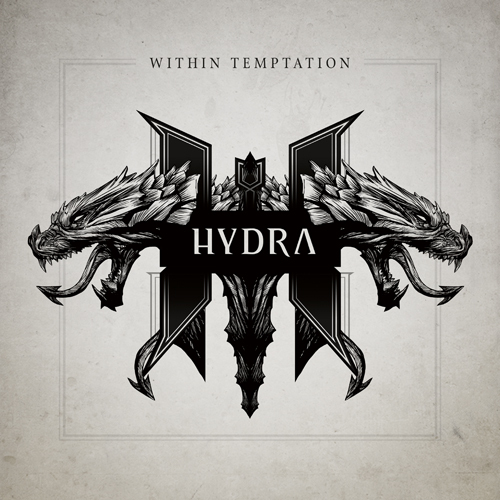 It's official: Within Temptationís sixth studio album is called 'Hydra' and will be released on the 4th of February, 2014 in the UK and Ireland. The album will be available in several luxury formats. Read more about the special guests on the album and check out the official artwork by Romano Molenaar (X-men, Batman, The Unforgiving) and designing agency Das Buro, as well as different editions of the album, below! The Hydra Pre-order starts today. The Shocking Miss Emerald (Deluxe Edition) including a second disc with live music and several bonus tracks. French pop/gypsy-jazz chanteuse Zaz (real name Isabelle Geffroy) brings her unique vocals and combination of jazz manouche and chanson Franaise to Britain. Established as an accomplished star in her native France Zaz is truly a musical renaissance woman assimilating a wide range of influences with unfailing flair, moving from jazz to blues to pop, and French song to African, Andalusian, Brazilian and Latin genres, all with a joyful, poetic enthusiasm and a passion for song. Her debut UK album Zazí will be released on September 30th on Dramatico. The 12 track CD will comprise songs from both her eponymous French debut and second album On Ira including the hit single Je Veux which has amassed more than 30 million youtube views. Zaz will be performing on the Andrew Marr Show on BBC One on Sunday October 6th. Born in Indre-et-Loire and raised in Bordeaux, Zaz studied violin, piano, guitar, and choral singing before a scholarship enabled her to attend the CIAM of Bordeaux (Centre for Musical Activities and Information). Having played and sung with various blues, jazz and Latin groups Zaz moved to Paris where she would regularly be seen performing on the streets of Montmartre. Now her stage is more international whether singing to a crowd of 10,000 at the Hendaye Stadium in Southwest France, performing Edith Piafís greatest classics in the heart of Siberia, appearing at the Japanese festival Fuji Rock, headline tours throughout the world or a free concert in a Colombian salt mine. The multi-platinum status of her debut album cemented the French sensation as one of Europe's finest new artists whose life is built on song. Determined and puckish Zaz thrives on spontaneity, simplicity and good humour, and will sing anywhere, as long as she can express herself without constraints, in words that echo daily life with its sorrows and joys. Following her sold out XOYO show and acclaimed performance at the Royal Albert Hall supporting Caro Emerald in March, Zaz returned to London in June for a sold out show at Scala. 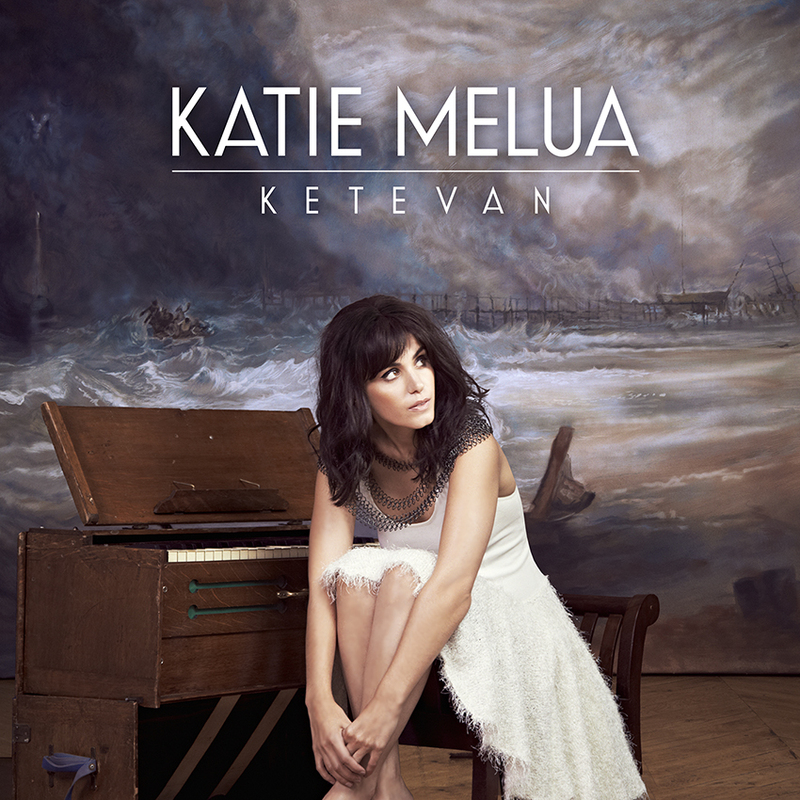 Katie's new album 'Ketevan' is released throughout Europe this week. Also most good record stores. From Katie: "This is a video that I have edited together with help from Michael Dunne from the record company using the footage from 'The Color of Pomegranates' by the Georgian/Armenian filmmaker Sergei Parajanov"
They will be touring the UK next year. Katie Melua jumped 13,000 feet for an airborne picnic in support of The Royal British Legionís new summer fundraising campaign Poppy Picnics. Katie performed the daredevil stunt in support of the Legionís vital work for the Armed Forces and their families. The jump with the Legionís extreme human flight team, Jump4Heroes, took place at Netheravon, the home of the Army Parachute Association. Katie said: ìIt was an incredible experience. Even though it wasnít my first ever jump, itís certainly my first ever picnic in the sky! I still find it really scary before jumping but love overcoming that fear. Whilst Katie, who was joined by her husband, former World Superbike champion James Toseland, opted for the sky-high setting to have her picnic, the Legion is calling on people to hold a Poppy Picnic in any kind of setting to celebrate the invaluable contribution made by our Armed Forces community, and to raise money for the Legion. Whether itís a games day, a themed event or just an opportunity to show off some serious baking skills, a Poppy Picnic is the perfect way to make any get-together more meaningful this summer. A Poppy Picnic is not only an opportunity to celebrate and honour those who serve; itís also a chance to show solidarity with Armed Forces families, who hold the fort until their loved ones return home. Charles Byrne, the Legionís Director of Fundraising said: ìArmed Forces families are a key focus for the Legion this year, whether it is employment support, crisis grants or benefits and money advice, we care for people in desperate need. ìThe fundraising from our new Poppy Picnics campaign is vitally important, and will make a real impact on the lives of those we help. To register an event, order a Poppy Picnic pack and get inspiring picnic ideas, please visit www.poppypicnic.org.uk. For more pictures check out the facebook gallery. Katie's new album, entitled 'Ketevan' will be released in the UK on September 16th, and in most of Europe the that week. 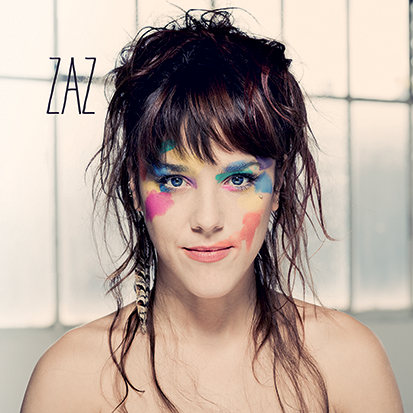 Zaz's new album is now available to pre-order from iTunes, it's out digitally on 5th August, and will be released on CD late September. We have launched Katie's own YouTube channel, so please check it out and click subscribe, as there will be new videos appearing soon. Mike's 'Zero Zero' is now available on Youtube. The Shocking Miss Emerald - Number 1 album! Grandmono and Dramatico Entertainment are delighted to announce that Caro Emerald has entered the UK charts at Number 1 today (May 12th 2013) with her second album 'The Shocking Miss Emerald'. Speaking from her home in Amsterdam, Caro said today "I'm humbled by this exciting news. It's such a huge recognition for the hard work we've put in to this record. I want to give a big thank you to all the fans and everybody who has supported us over the last few years. Thank you!!!!!" This is Caro's highest UK chart position - her debut album, 2010's 'Deleted Scenes From The Cutting Room Floor' peaked at number 4. 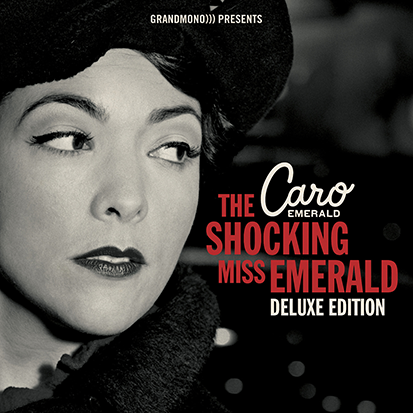 Released jointly in Britain by UK independent label Dramatico and Grandmono, the Dutch label set up by Caro and her producers & songwriters David Schreurs & Jan van Wieringen, 'The Shocking Miss Emerald' contains 14 of Caro's trademark retro-pop songs, a winning formula that has connected with fans throughout Europe. 'The Shocking Miss Emerald' also entered the Dutch charts at number 1 this week, following the precedent set by 'Deleted Scenes From The Cutting Room Floor' which subsequently spent a record-breaking 30 weeks at number 1. Reacting to the UK chart news David Schreurs (songwriter/producer and head of Grandmono) said "It's just unreal, the biggest imaginable crown on all the hard work we did since we started this project! Now it finally makes sense that we never sleep, always work and continuously focus on tiny little details. This is massive, we've always looked at the UK music scene with so much respect, and now it feels like we're a small part of it!" 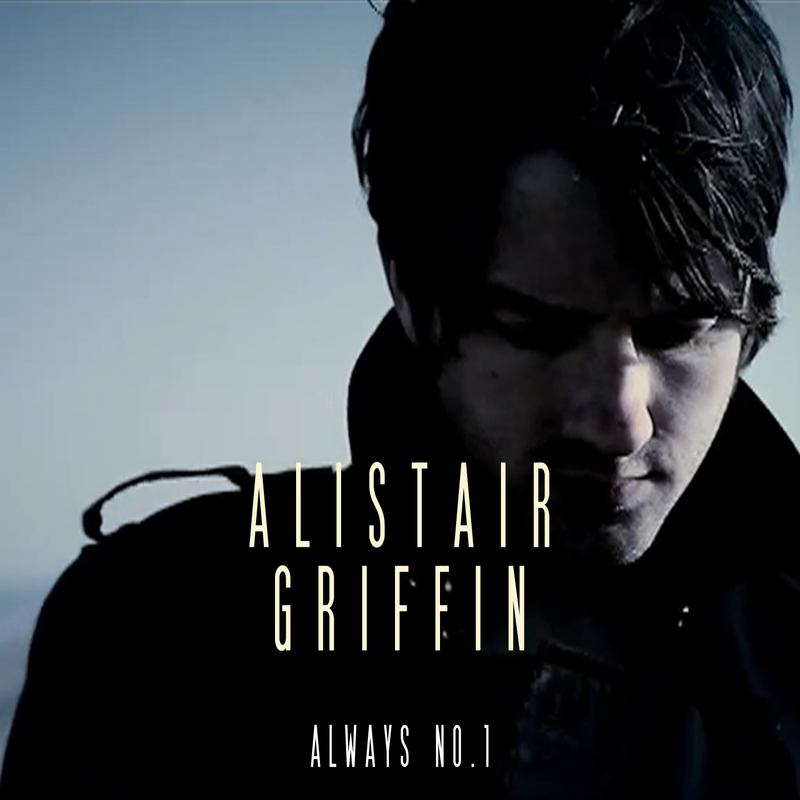 The second single from the album 'Liquid Lunch' will be released on June 17th. Schreurs, van Wieringen and Caro's regular songwriter Vince Degiorgio team up with her guitarist Wieger Hoogendorp & Robin Veldman to deliver a perky, witty slice of fun that Caro performs in her distinctively sassy style. Having sold out her March UK tour (including a night at the Royal Albert Hall) Caro recently announced a 14 date September tour which is already sold out. Caro will be appearing on BBC Breakfast on May 14th before performing at Hello Magazine's 25th Anniversary celebrations in London this week. Caro Emerald announces the UK leg of her European autumn tour. Starting in Sheffield on September 6th the fourteen date tour calls at Liverpool, Gateshead, Salford, Glasgow, London, Birmingham, Oxford, Bristol, Southend, Leicester and Ipswich before ending in Portsmouth on September 25th. 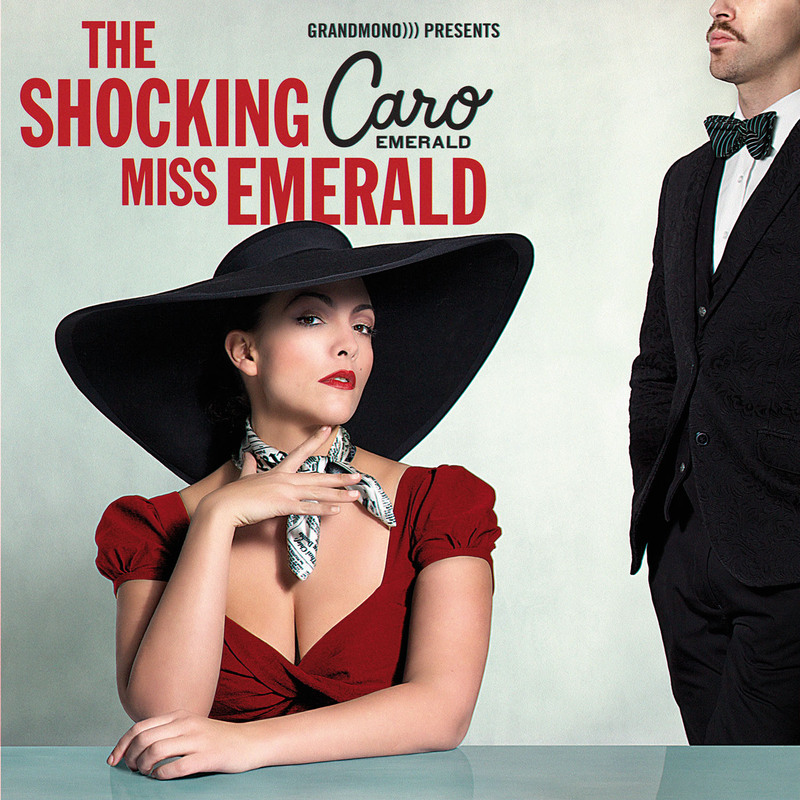 You can now pre-order Caro Emerald new album 'The Shocking Miss Emerald' in the UK and Ireland. Multi-platinum selling artist Caro Emerald announces the UK leg of her European autumn tour. Starting in Gateshead on September 10th the eleven date tour calls at Glasgow, Manchester, London, Birmingham, Oxford, Bristol, Southend, Leicester and Ipswich before ending in Portsmouth on September 25th. Having sold out her March dates, including London's Royal Albert Hall ("a finger-clicker of the highest order" - Evening Standard), Caro is set to dazzle and delight with her sassy blend of big band jazz, swing and pop. In addition to favourites from her debut hit album, the award-winning The Deleted Scenes From The Cutting Room Floor', Caro will be performing songs from her sophomore record ÔThe Shocking Miss Emerald' (released May 6th). Fletcher's excellent new video for 'Upon Up' can be seen on his website: Click here It features a second of video from every day of his life for 240 days! Following the first UK Radio play from Caro's new album, we can now show you the cover image. First single 'Tangled Up' from the new album 'The Shocking Miss Emerald' released February 25th 2013. 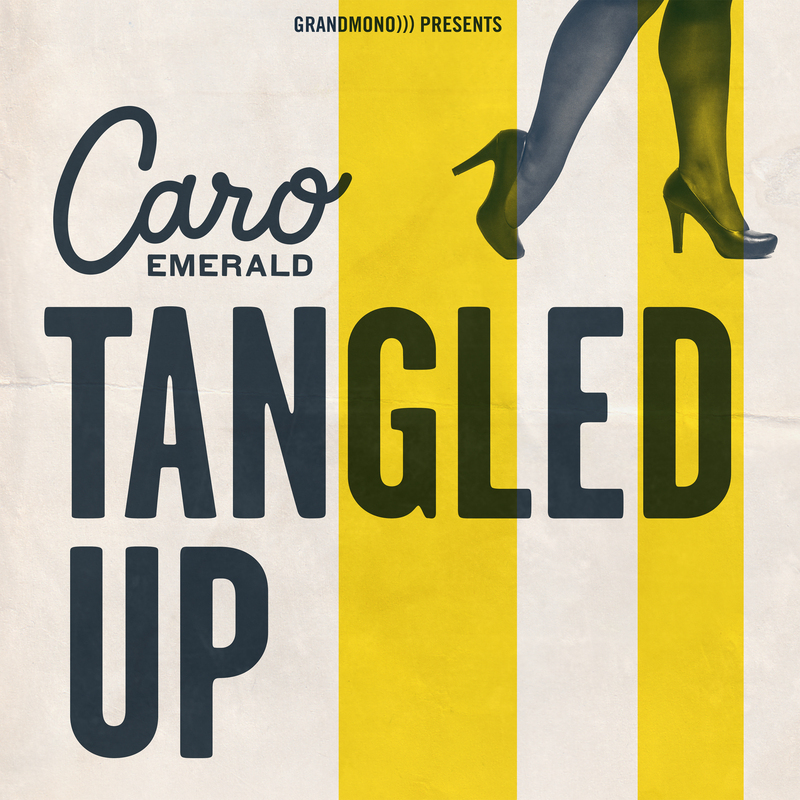 On February 25th Caro Emerald will be releasing 'Tangled Up', the first single from her long awaited second album 'The Shocking Miss Emerald'. 'Tangled Up' will have its world premier play on national radio in Caro's native Holland on February 18th. A hooky, hip-hop tango, 'Tangled Up' is stylish, classy and sassy pop - Caro's trademark - and is a delicious appetiser for the new album. Where 'Deleted Scenes From The Cutting Room Floor' took its inspiration from the Hollywood cinema and the glitz and glamour of the jazz scene, 'The Shocking Miss Emerald' is inspired by the epicentre of style, romance, excitement and dangerous liaisons -- Paris. 'Tangled Up' is written by Vince Degiorgio, David Schreurs and Guy Chambers, with production by Caro's steady production team of Schreurs and Jan van Wieringen, and features the renowned bandoneonist Carel Kraayenhof. Smouldering, charismatic and with an appealingly aesthetic eye for presentation, Caro Emerald is a truly original pop star. 'Deleted Scenes From The Cutting Room Floor', so joyful and overflowing with retro-loveliness, sold more than 1.3 million copies across Europe, dominated the charts for 30 weeks in Holland, and in Britain spent nine weeks in the top 10 and was certified platinum. Caro performed on UK TV shows including Jools Holland's Hootenanny, Strictly Come Dancing and BBC's Children In Need and her music became a permanent fixture on the airwaves with Radio 2 adding all five singles to the A List and making the record Album Of The Week. Caro's live performances included an astonishing set in London's Hyde Park and at the Isle of Wight Festival and her sold out headline UK tour garnered rave reviews. Caro has also dominated the German music scene, and recently picked up the prestigious Golden Camera Award for 'Best International Music Artist', the 'International Newcomer Award' at the Echo Awards and was nominated for the Swiss Music Award 'Best Breaking Act International'. More recently, America has discovered Caro and in January she played sold out shows in Los Angeles and New York to great acclaim. Her live performance is not to be missed - reviewing the show at The Roundhouse, The Times declared the atmosphere to be "part carnival, part high-school prom", praising her "magnificent vocals" and concluding that "When she finally bounced off stage, punching the air, it felt like a whirlwind had hit North London." In March Caro will be in the UK for three shows. Her shows in Brighton (March 8th) and Bournemouth (March 9th) are completely sold out with just a few tickets left for her Royal Albert Hall debut on March 11th. "Britain has always been so extremely supportive! Coming back again is something I'm so looking forward to. It feels heart-warming and super exciting at the same time to play again for the UK crowd, especially in these legendary venues. The Royal Albert Hall is a dream come true, I still have to pinch myself when I come to think about it." 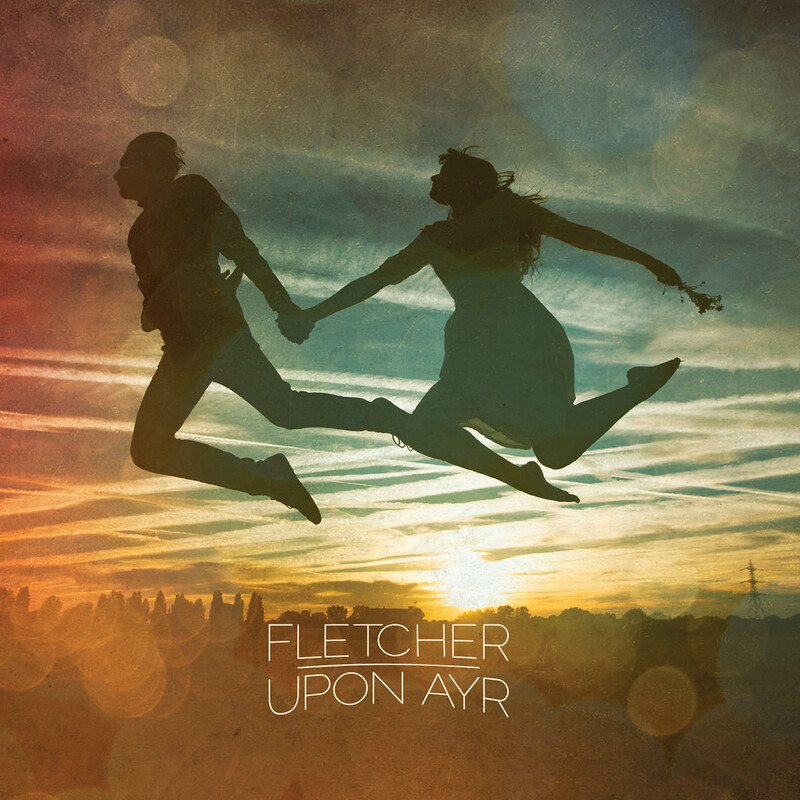 'Upon Ayr', the debut album by Fletcher, is a compelling, storytelling record that opens with an ode to the sadness of Jack Kerouac's legacy, closes with the creak of the foot driven mechanical pump of an 1840s western Harmonium and paints scenes of Polynesian whale myths, 1920s synchronised swimming mermaid's dream and the death throes of a love affair. "What you're listening to is demos; fleshed out demos. Throughout 2010 I was on a world tour with the beautiful, Australian singer Sarah Blasko. We played almost 200 shows that year and most of the songs on this record were written during that period. They developed in sound checks, in band rooms, in hotels, on trains, in vans, or humming into iPhones. In early 2011, while still on tour in Australia, I got together with two of my mates to sneak into a university studio where a friend of ours had been studying musicology. Our friend's course had finished months ago but he still had the keycard and security code that opened the doors to the studio. We snuck in around 11pm and would record all night till 4am or 5am, turning off the lights and hiding every 2 hours while the security guard cruised by. We did this for three nights and I recorded the guitar and vocals for around 14 songs. 2011 saw more touring and a little more writing. I recorded more songs in London, this time in my bathroom, two of which (Here Stands The Broken & Swim Through The Mouth Of The Whale) ended up on this album. I thought these and my Uni studio sessions would just be demos, but they sounded pretty good and everyone I played them to said, you should use them as your album. So I did. Not to say I recorded this whole album in the shower. These songs needed a little more rhythm and pulse, so when I finally got off tour in early 2012 I went into Decibel Studios in a snowy Stockholm to record some extra bits, including bass, drums and the amazing voice of one of my best friends: Sarah Blasko. I brought my album back to London to mix at Urchin Studios in May 2012, and there you have it. Simple and easy, like I've always wanted but never fully achieved in my past recordings. Most of what you hear is first take, all the vocals were done either in a bathroom on a borrowed mic that would sometimes electrocute my lips, or in a little wooden room I had to hunch to fit into. I've always felt like I've been guilty of over thinking my recordings but this all happened without me even realising it. So you're hearing the first album from me as Fletcher. Upon Ayr is the album title - a nod to one of first recorded uses of the name Fletcher, in a south-western town of Scotland, Ayr." It has been decided that it is undesirable to concentrate so many French concerts within a short time, and so therefore some of the dates have been rescheduled for later in the year. The fact that the later shows will coincide with the release of a new studio album will add a special flavour to them and Katie is very much looking forward to using these postponed shows to debut some of the new material. Katie and the promoter jointly apologise for any inconvenience caused by this decision. KATIE MELUA souhaite reporter sa tournée de ce début d&apos;année à l&apos;automne prochain afin de vous offrir un concert inédit, en vous faisant découvrir sur scène les titres issus de son nouvel album, à paraître à l&apos;automne 2013. Katie Melua est très impatiente de retrouver son public français à la nouvelle date prévue et s&apos;excuse pour le désagrément et la gêne occasionnés. 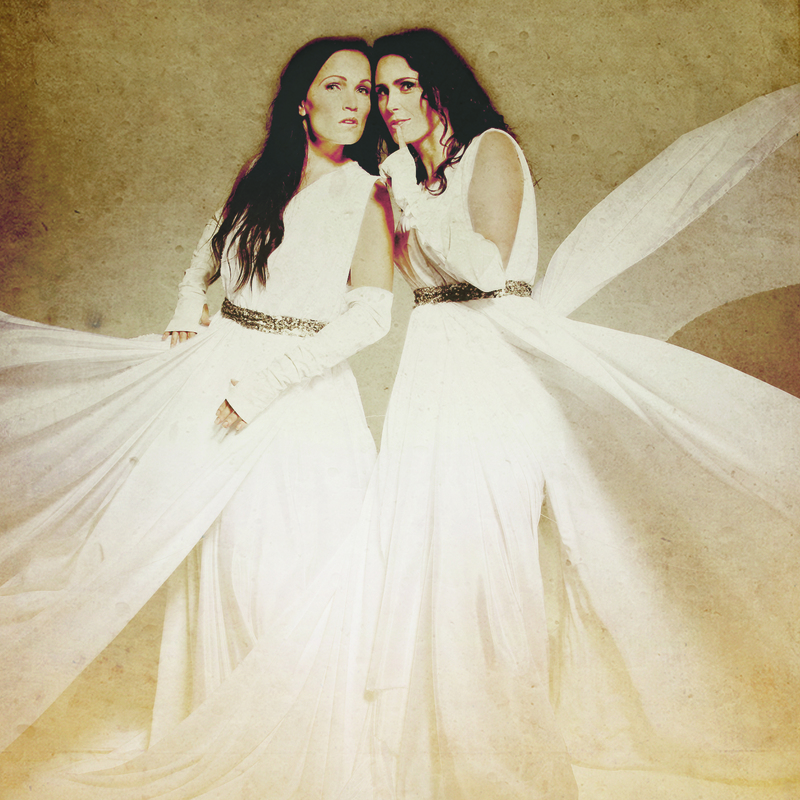 We are pleased to announce the release of Sarah's new album, and European tour. Win 2 flights to London (if you are outside of the UK) a stay in a hotel, tickets to Caro's concert at the Royal Albert Hall and a meet and greet with Caro. Congratulations to Mark and Michael from everyone at Dramatico! 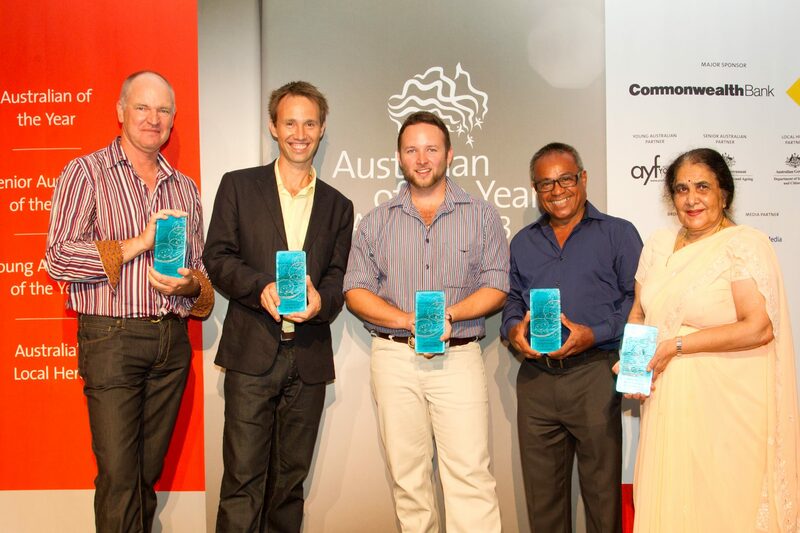 Mark Grose & Michael Hohnen named Northern Territory Australians of the Year 2013 In an unexpected honour, Skinnyfish Directors Michael Hohnen & Mark Grose were awarded the prestigious title of NT Australians of the Year at the 2013 Australian of the Year Awards presented in Darwin last night. It has been a huge year for the pair, being named in the AMID Power 50 of influential music industry identities at #21 as well as consolidating the success of their artists, including a performance for Gurrumul at the Queen's Diamond Jubilee, a platinum award for his album Rrakala, the successful launch of a grassroots campaign against cyber-crime featuring Tiwi Islands band B2M and the debut of new artist Dewayne Everettsmith in a $250 million tourism Australia campaign. For 14 years Hohnen and Grose have mentored bands through business development, connected the most remote communities with mainstream music markets and made an outstanding contribution to the preservation of lndigenous language and culture. Their work with artists including Nabarlek, Saltwater Band, George Rrurrambu, Tom E Lewis and Gurrumul Yunupingu has brought a new generation and genre to the world's attention. "I look at the list of finalists and I see a large group of people contributing to the community" said Michael Hohnen. "That's what we are trying to do - to help support and sustain a greater community. It feels rewarding and it's something we will always do. It's an honour that our contribution is now acknowledged." "Music is the key to unlocking potential," said Mark Grose. "It has the power to motivate a new generation to pursue careers that offer economic independence, benefitting individuals, their families and the communities of remote Northern Australia. Our business is established on a platform of building long term relationships with remote musicians and a business philosophy based on a community development approach. A social as well as an economic agenda are of equal importance to Skinnyfish Music. This award is a great honor and we are privileged to work with the artists and communities we work with." As state winners, Mark and Michael now enter the National finals of Australian of the Year which will be announced at Parliament House in Canberra on 25th January 2013. 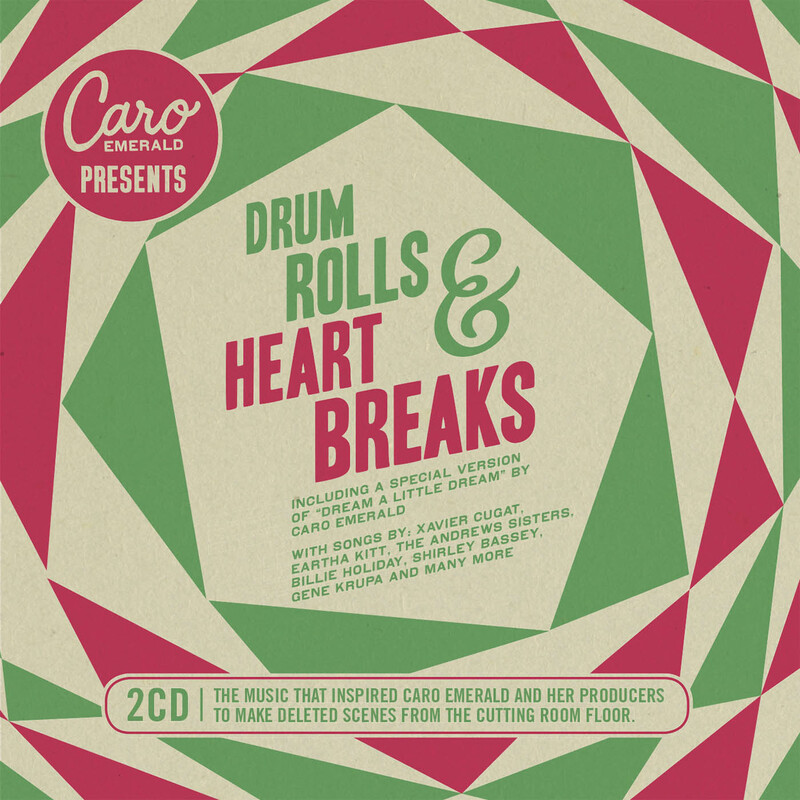 The music that inspired Caro Emerald and her producers to make the award winning, platinum selling album 'Deleted Scenes From The Cutting Room Floor'. Congratulations to Gurrumul who won 2 Deadly Awards this week. 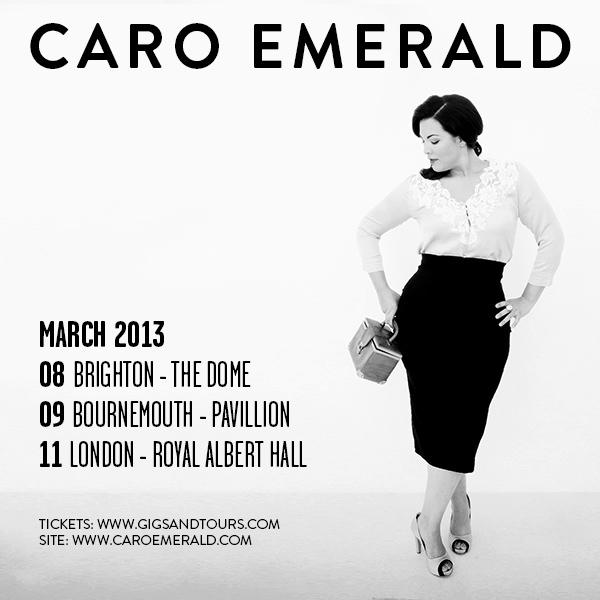 Caro Emerald will return to Britain in March 2013 with her energetic blend of big band jazz, swing and pop. The Dutch singer and her fabulous band promise a "classy show, with a jazz club feel, and of course some fabulous outfits!" We are pleased to announce that the Bonus Edition of Katie's latest album will be released very soon. It includes 4 bonus studio tracks and a second disc which contains a recording of Katie's recent concert in Berlin. 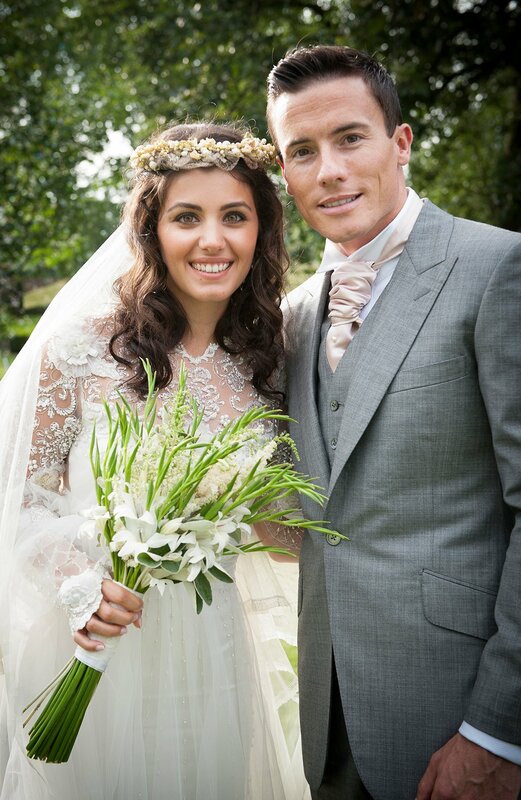 Dramatico would like to congratulate Katie Melua and James Toseland, who were married Yesterday! "Due to ongoing health issues Gurrumul has had to cancel his July European tour. He is currently in the care of his immediate family."